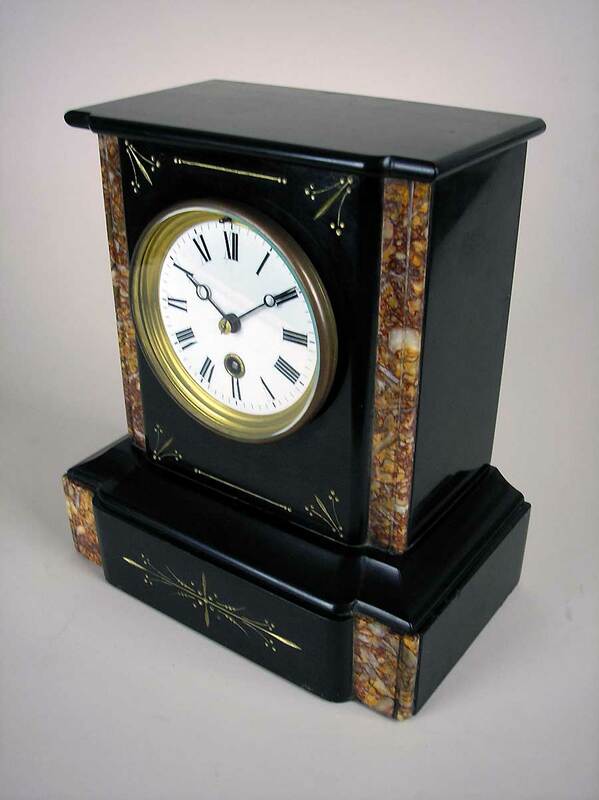 This is a small slate mantel timepiece with marble inlays. 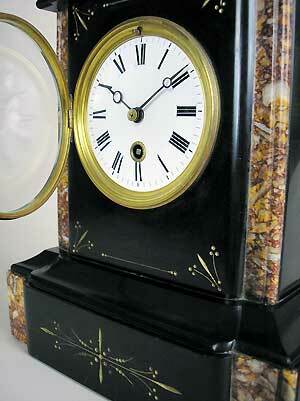 The clock has a white enamel dial and Breguet hands. 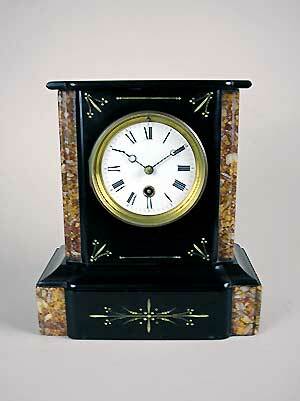 The movement is of an eight-day duration.